Thessaloniki, May 1923: A ship docks in the harbour packed with Greek Orthodox refugees from Turkey, newly swapped for Greece’s Muslim population in one of the most painful and extensive exchanges of peoples ever attempted. Among them is five-year-old Katerina Sarafoglou; separated from her mother in their flight from Smyrna (now Îzmir), she has been adopted by another Turkish woman, Eugenia. When they are allocated a new home, Dimitri Komninos, the ambitious son of a rich, authoritarian merchant, is among their neighbours. 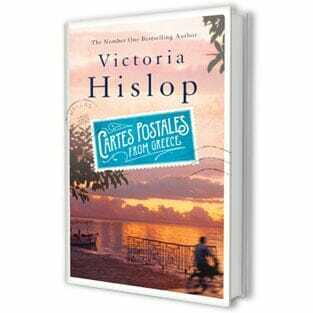 The eventual coming together of Katerina and Dimitri forms the backbone of The Thread (Headline Review, £18.99), the meticulously researched third novel by Victoria Hislop. The tortuous political history of Thessaloniki in the 20th century is drawn out through the deeply involving story of two families, and the friends – Jewish, Christian, Muslim – that surround them. Hislop’s fast-paced narrative and utterly convincing sense of place make her novel a rare treat. Victoria Hislop’s The Thread gives a central role to the history of the Greek city of Thessaloniki – a melting pot of cultures, peoples and religions – by focusing on the great fire of 1917 that destroyed two-thirds of the city, and on the second world war and the difficult, often bitter aftermath. From this fractured backdrop, painstakingly fleshed out, she plots the story of Katarina (whose family was forced to flee from Smyrna in the 1920s) and Dimitri (the son of a fascist-leaning local businessman), whose passion for each other is forced through the hoops of family opposition and war. The result is a sweeping, magnificently detailed and ambitious saga that wrestles with the turbulence of the period Hislop covers. Her decision to let us know what happens to her star-crossed lovers at the start of the story may be a problem for some. Even so, all those who loved The Island, her hugely successful first novel, will fall on it. Oh what a tangled web she weaves! Victoria Hislop’s third novel, the appropriately titled The Thread, is pleasingly complex. The story traces several generations of a fictional Greek family called Komninos against the historical backdrop of the rise and fall of Greece’s second city, Thessaloniki, in the 20th century. To make things even knottier, most of the characters have some connection to the textile industry, and while for some this is booming, for others it remains a labour of love. The most fascinating element of the book develops out of the history of Thessaloniki itself. Historically, the city has an impressive heritage at stake. Tracing her foundation back to the family of Alexander the Great, she became, to the Byzantine empire, a jewel second only to Constantinople. The catastrophic fire of 1917, which razed much of the city, is a turning point in Hislop’s story. After witnessing the destruction of their grand sea-view villa, the Komninos family is forced to take up residence in a poorer quarter — a melting pot of Christians, Muslims and Jews. The loss of much the city’s architecture is juxtaposed with a sequence of meetings and scenarios that will reverberate across future generations of this family — a likable bunch, except for Konstantinos, the monstrous father. Hislop emerges as something of a Homeric Penelope figure, concerned to show how a thread is untied as much as tied. This helps to free The Thread from the ‘beach-read’ status of Hislop’s first two novels, The Island and The Return, also set on Hellenic shores. The second world war begins to make its impact on the city, and Dimitri Komninos, a strong-willed and abstemious fellow determined to preserve his homeland from impending destruction, decides to join the Communist ELAS. His father, a successful textile magnate with a penchant for prostitutes, dinner at eight, and fascist politics, takes umbrage, and the destructive potential of preserving a heritage comes ever more to the fore as Dimitri, an only child, seeks to salvage his relationship with his country and its people, but most of all his reclusive mannequin of a mother and her housekeeper Pavlina. Perhaps it’s time we told you more. If you are interested, that is…? Of course I’m interested! I’ve spent my whole life half-knowing things about my father’s background and not being given answers. I think I’m old enough now, aren’t I? replies the grandson, who is by this stage a university student. That history would certainly hold its own without such introduction. The inset motif would, however, prove useful should the book be filmed. The Island was written into a screenplay and aired as a series on Greek television to rave reviews. I rather suspect that more global aspirations lie behind The Thread. Hislop has done well to tell a story as diverse and tempestuous as Thessaloniki’s with such lightness of touch. The events encountered along the way are well chosen to dramatise: Nazi control, religious diasporae, patriotism. The novel’s overarching power derives from the fluidity with which these rapidly changing times are treated. Time will show that heritage can be violated, rebelled against and ignored, but that in Thessaloniki, blood isn’t always thicker than water.